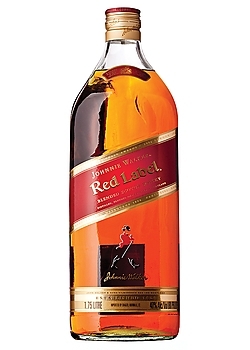 Johnnie Walker Red Label enjoys a cemented reputation for being the most widely distributed brand of blended Scotch Whisky in the world. Red Label has proven itself to be a favourite, with its distinct blend of 35 malt and grain whiskies. With an intense and edgy flavour of spice and malt, the Johnnie Walker Red Label is the type of whisky that is perfect no matter how you choose to serve it - one of the Johnnie Walkers that will never disappoint.